A: It doesn't compatible with tablet pc with RK3066 processor like U30GT,N90 Dual core II, M11, etc. You can choose Huawei E169 if you need to work with those tablet pc. B: We guarantee that it is original huawei E1750 modem, but there are many different versions of different logo. we will send by random if buyer has no special requirement. TheHuawei E1750 HSPA USB Modem is an ultra slim USB modem that is ideal for users who need high speed data on the move. The Huawei E1750 HSPA USB Modem provides the latest plug and play USB modem solution with a modern elegant design. Installation is straight forward plug and play and does not require any additional software or drivers. Simply place your data enabled SIM (not included) into the Huawei E1750 HSPA USB Modem and plug modem into the USB slot on your laptop. HSUPA date transfer speed up to 5.76Mbps. We only gurrantee the modem can be used in Android Tablets listed above and the tablets sold by our shop, if your tablet was bought from other place, it is your own responsibility if it does not work. But it can be used in PC for sure. ZTE MF691 4g modem for free shipping ! !by dhl ,ems! 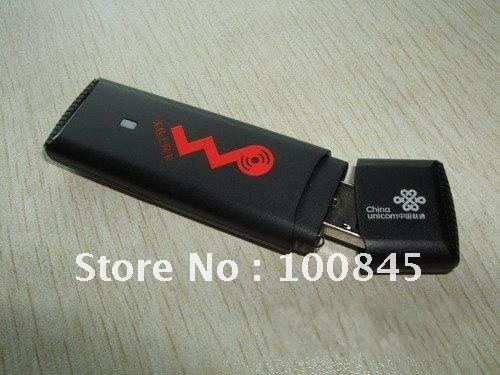 100% original Huawei ec122 evdo usb modem for free shipping!